Seems Gucci's decided to get in touch with nature. At least since Alessandro Michele took the lead. While the Italian fashion house's spring 2017 campaign took a wild turn with a big cat takeover, this time, Gucci opted to spotlight squamates, iguanas and chameleons for its pre-fall 2017 campaign. 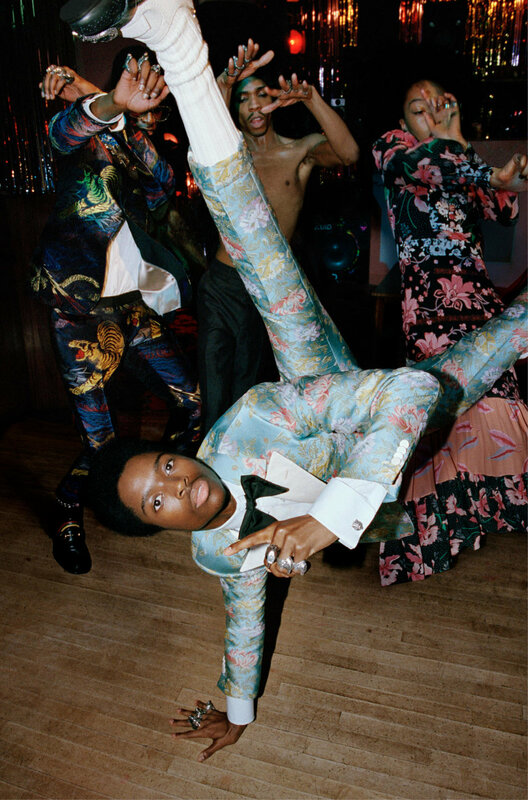 Dubbed 'Soul Scene', the campaign was creative-directed and styled by Alessandro himself, photographed by Glen Luchford and art directed by Christopher Simmonds. It featured an all-black cast - Nicole Atieno, Elibeidy, Bakay Diaby and Keiron Berton Caynes - and more than 20 dancers. The images draw inspiration from last year’s Made You Look exhibition at the Photographer’s Gallery in London - an exhibit which saw the exploration of black masculinity and dandyism, while also paying tribute to 60s photographer Malick Sidibe, whose works depict youth culture and nightlife in Bamako, Mali. Expect ads to start running from mid-April. Find Vane Karolle on INSTAGRAM.